The Des Moines Social Club is one of the country’s leading community-focused cultural hubs, created to enhance art, music and entertainment outreach throughout greater Des Moines. Christensen Development developed this one-of-a-kind project for the nonprofit client, centered on adaptive-reuse of the historic Des Moines Firehouse No. 1 in the heart of the city’s downtown. 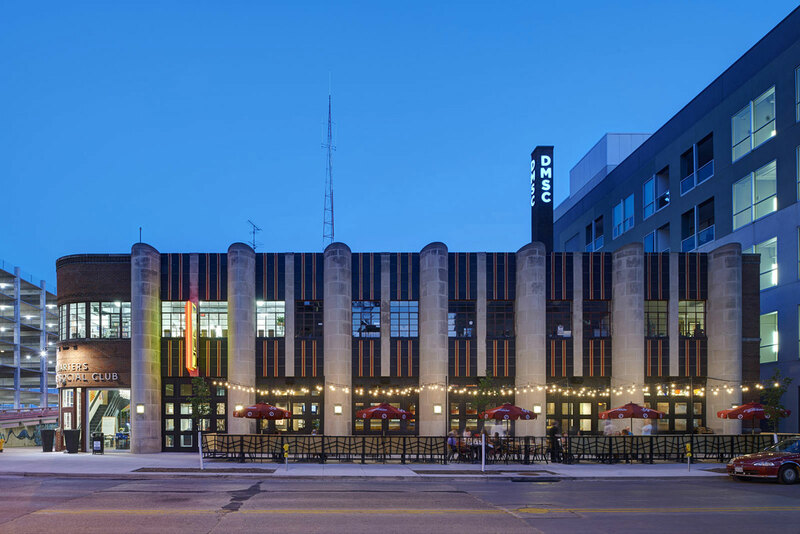 The project consists of two buildings containing the Des Moines Social Club, Malo restaurant, and the Kum & Go theater. The Social Club now draws an estimated 100,000 visitors annually to the downtown area. The development cost was approximately $7.8 million to update the entire facility, which will continue to give back to the community for years to come.